LAS VEGAS, NV / ACCESSWIRE / September 19, 2018 / G. Dallas Horton, one of Las Vegas Nevada's most respected Personal Injury attorneys, has announced the launch of his newly developed website. The new website offers a clean and elegant design with a streamlined visitor experience as the goal. 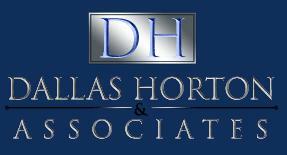 Focusing on ease of use, clean flow of content, and an easy to navigate structure, the team at Dallas Horton and Associates believes their new website will make it easier for potential clients to find the information they need quickly, without being bogged down with unnecessary information. A spokesperson for the firm stated, "We have been wanting to redesign our website for quite a while now and interviewed countless web development agencies. We were looking for a design that was modern and elegant, but would also help our visitors quickly get access to the information they are searching for". The spokesperson continued, "We are so incredibly excited to announce the launch of the new site, and have already had incredible feedback from our clients!". For interested parties located in the Las Vegas area who would like to visit the offices of Dallas Horton and Associates, or contact them via telephone, information has been provided below.